Its now four years since that dark, cold November evening when I stood nervously outside a Bristol park waiting to see if anyone would turn up to meet me, following my desperate plea on Facebook for a running buddy – and secretly hoping no-one would come because it would mean I could sneak off home, settle back on the sofa with a glass of wine and Strictly on catch up. What happened next is now This Mum Runs folklore. 75 women turned up, which led to hundreds more within weeks. Which led to me quitting my job 8 months later to work on This Mum Runs as my actual job. 🏃‍♀️Launched a range of This Mum Runs clothing that is worn proudly by women across the globe. Building a community with global aspirations – from the ground up – is definitely not for the faint hearted. Yet creating a meaningful and purpose driven organisation is the most rewarding thing I have ever done. And I could not have done it without our brilliant HQ Team, our fantastically committed Runmaker team, our awesome Run Angel volunteers. and of course all of you! Thank you for the time and energy and love you pour into this community of ours and the magic that you create every single day. Thank you, a million times thank you. We were recently recognised by Facebook as one of the Top 100 Most Influential Communities in the world and invited to join their global Community Leadership Programme. Throughout the application process we were repeatedly asked what makes our community so special. My answer was simple. This Mum Runs is the most deeply authentic and supportive community I have ever been a part of. 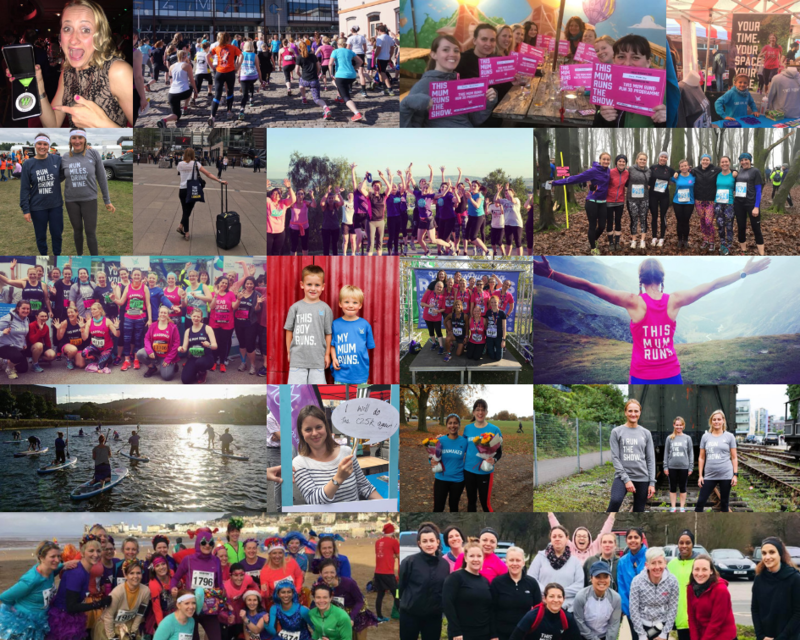 What makes us a community, rather than just a bunch of Mums running together each week, is the way our members are open to sharing their stories to support others. We’re all on the same path, share similar challenges, pain, joy, struggles and life experiences. And most importantly are open enough to both ask for support and to encourage each other – in spades! For This Mum Runs, it’s the shared experience of Parenthood that binds us. It’s the most challenging, hair raising, sleep stealing, frustrating, yet incredible, life affirming thing any of us will ever do- and often along the way, we lose the sense of ourselves as individuals and not just ‘Mum”. Having a tribe of women around us to help navigate this path, to support and champion each other and to find a bit of you left in all the chaos…well, that is pretty powerful stuff right? As we approach our 4 year milestone we will be reflecting on the past few years through all of our social channels, by doing what we do best, telling YOUR stories – watch out for these over the coming weeks. While we are saying THANK YOU, here’s huge one to everyone who has shopped with us in the TMR store. In the very beginning, we created a small range of tees, because you guys asked for them. When you were at the park or out on a run, you wanted to be able to recognise each other and say hi! Our range grew and we soon realised that women from across the globe wanted to wear our stuff. Because they LOVED what we stood for and wanted to be a part of it. We couldn’t be prouder to see women as far afield as Auckland, Canada and Thailand wearing the TMR bird with pride! We’re doing all we do because of a little dream we have to empower Mums EVERYWHERE to be healthier and happier. So the hard earned moolah that you spend in our store makes all of this possible. Every pound you spend ultimately helps us to help more Mums out the door for a little bit of headspace. We hope you’ll agree that’s money pretty well spent. And to celebrate our birthday, a fab range of new products have just landed in store – designed by us with love! Don’t forget to treat yourself (we all deserve it after all) and to add TMR to your list for Santa! TMR HQ has been a hive of activity the past few months. We’ve been beavering away on huge plans to bring the magic of TMR to towns and cities around the UK. Pretty exciting stuff! The first step in this was developing and launching our sparkly new online training for Run Angels which means we can train volunteers faster and launch new runs more quickly. This is quite literally game changing. Which leads me to the really exciting part. With our new training now in place, early in 2019 we plan to launch This Mum Runs communities into TWO new cities. And we need your help to decide where next…this is YOUR community after all! Wherever you are in the country, we want to hear from YOU if you you would like This Mum Runs runs & communities in your town. This is your chance to let us know! Just click on the link, complete the short survey and keep your fingers crossed. We’ll be announcing the winning locations in early December. Hands up if you’re as excited as we are? With a month of celebrations planned, we’d love to see your favourite pics and moments from the past 4 years too. Simply share them, on any channel, using #thismumruns and we will find them.